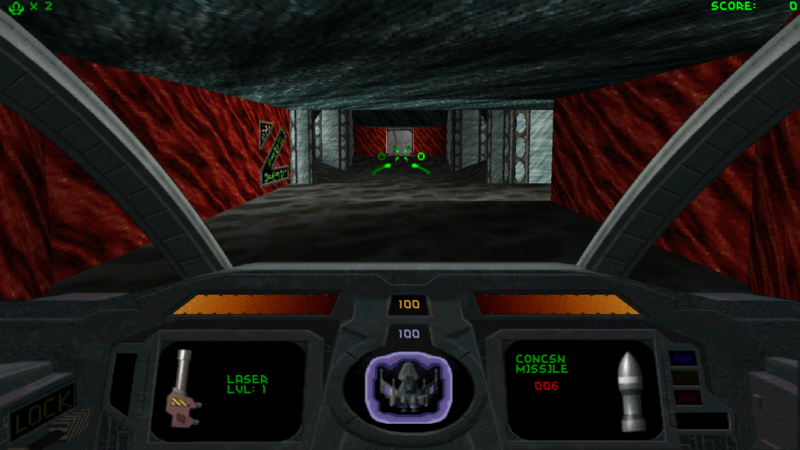 Descent 1&2 are DOS-era shooters from Parallax Software and Interplay, where you pilot an experimental fighter through a series of maze-like mines, fighting maverick robots and rescuing hostages. 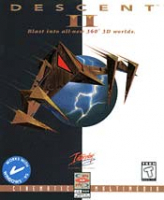 Use D2X-Rebirth or D2X-XL. 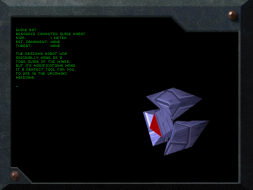 Resolutions are listed in-game. The HUD and 2D backgrounds are stretched. 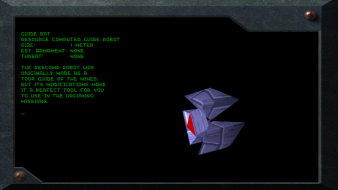 Text, 3D elements, and 2D sprites in the world have the correct aspect ratio. 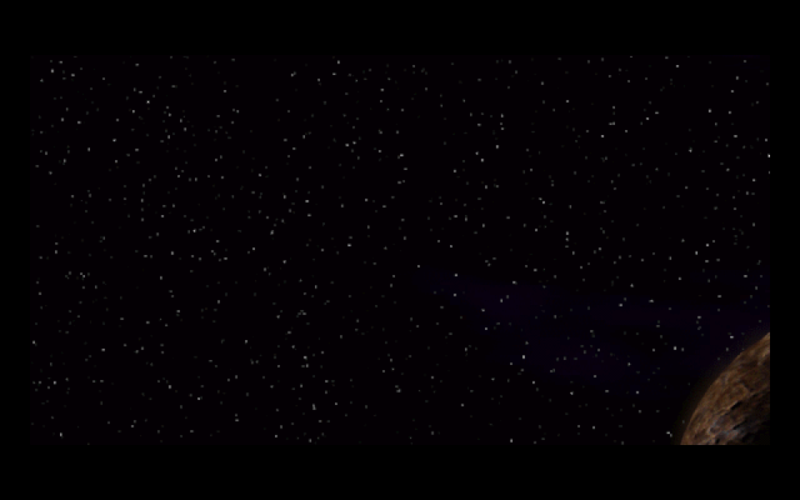 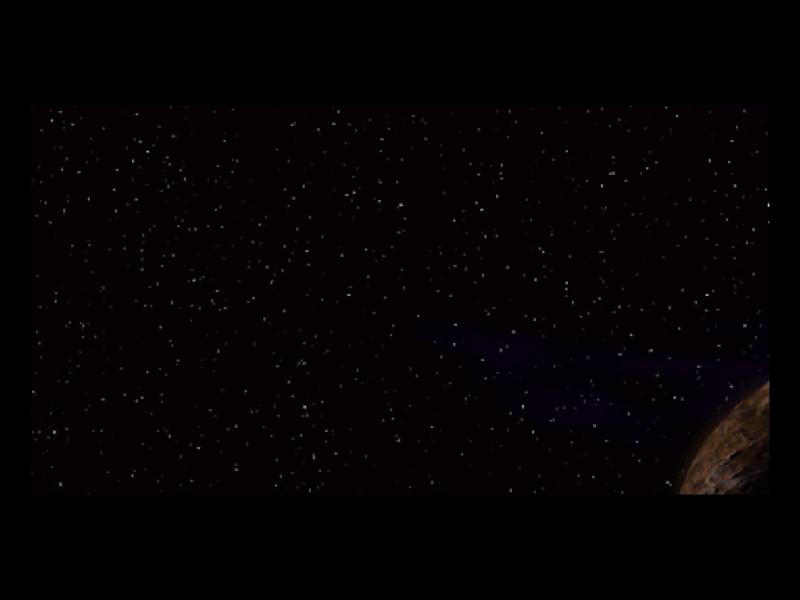 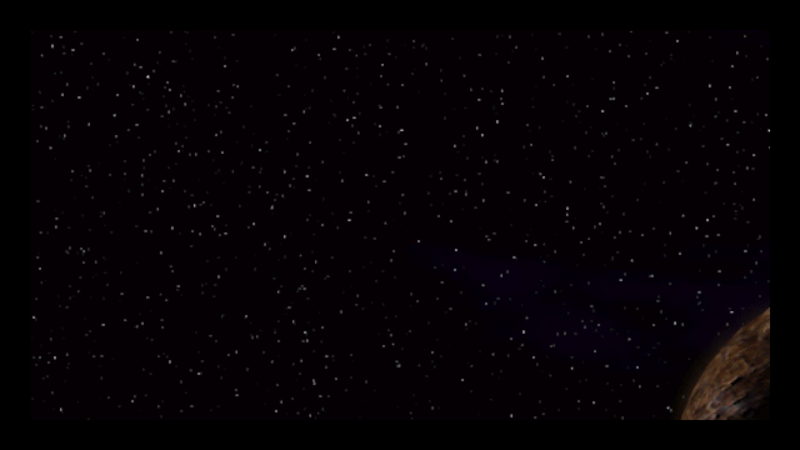 FMV cutscenes are pillarboxed. 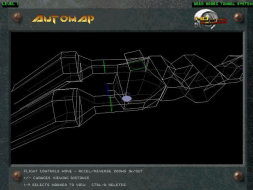 No anomalies that don't fall under "HUD stretch." 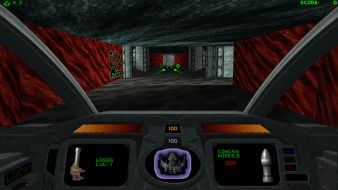 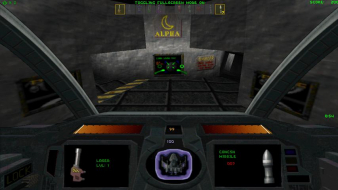 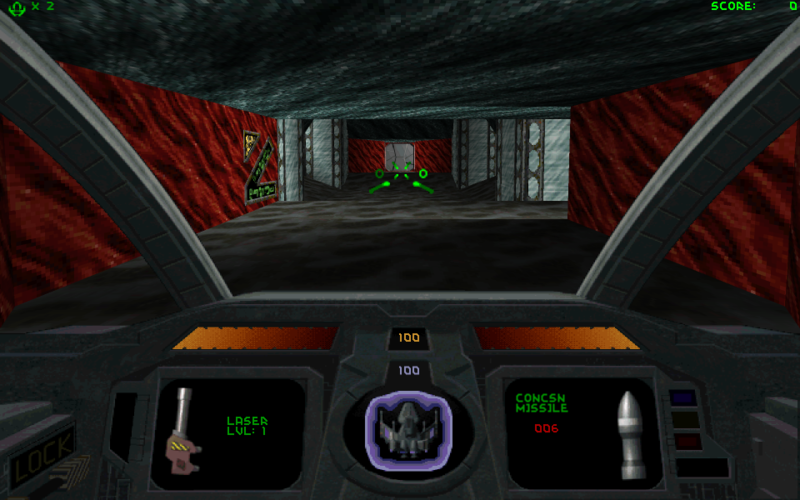 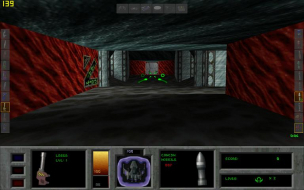 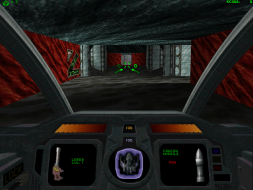 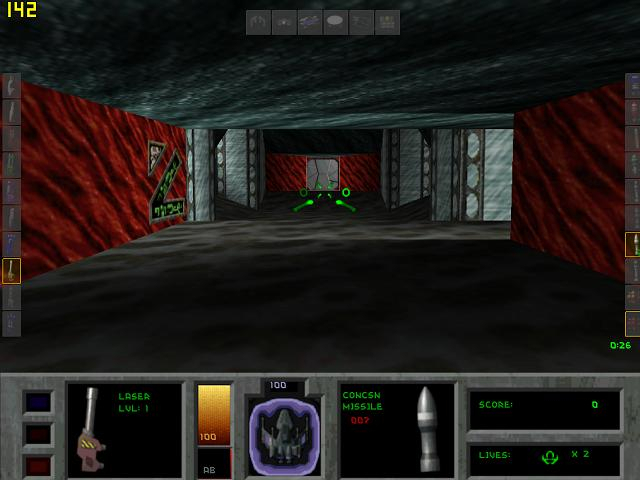 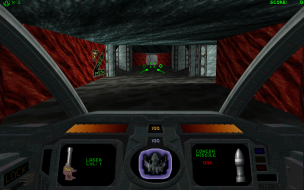 The game has several alternate HUD modes; doom bar, cockpit, minimalist, and letterbox (my names). 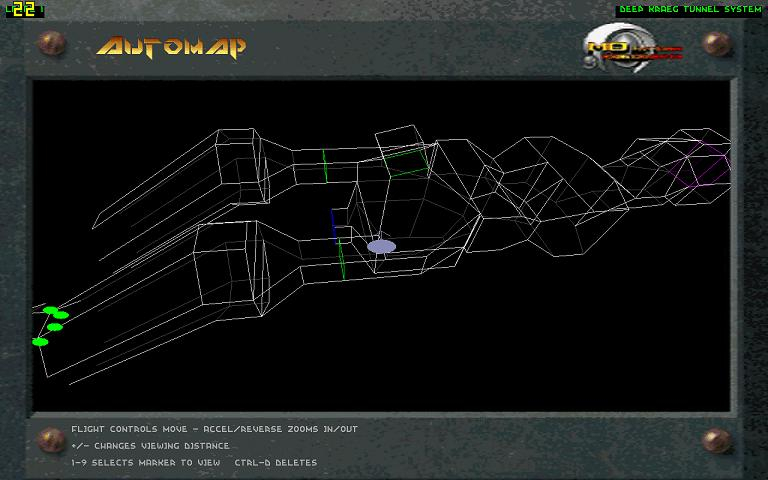 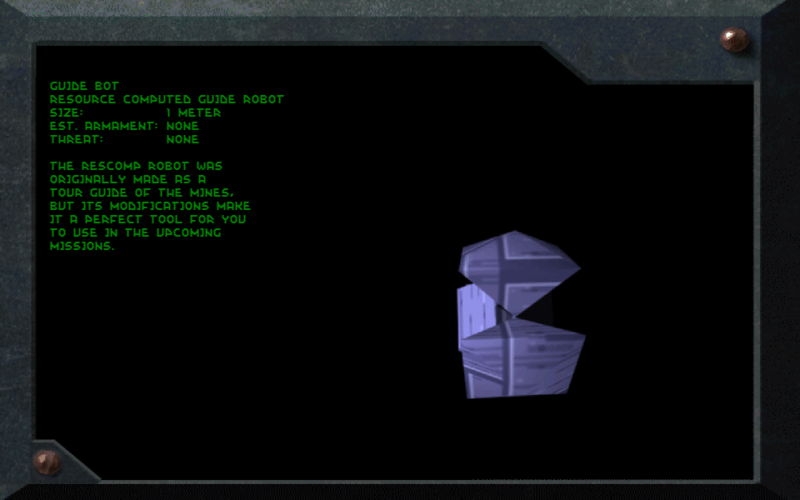 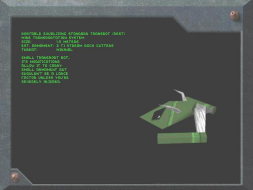 There is also a map mode, and a robots info screen. 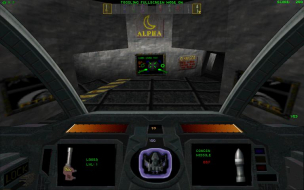 Here's comparisons of all of them except for the minimalist mode and cockpit mode, which are shown in other screenshots of this report. 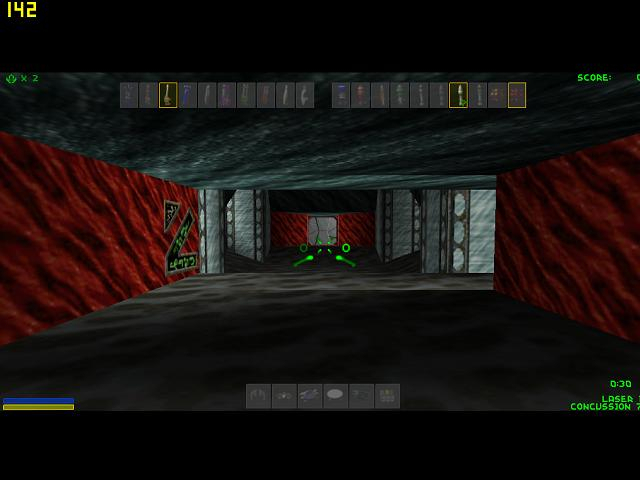 Use D2X-Rebirth. 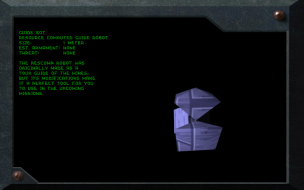 Resolutions are listed in-game. Stretching/scaling is the same as regular widescreen (above).